I don’t actually agree with the old adage “breakfast is the most important meal of the day”. All your meals are important! Ultimately the important thing is to get the nutrients your body needs into you when required, while delivering the appropriate amount of kilojoules to match your energy needs. We are all different in how and when we like to eat. Some of us can’t face eating first thing, while others (like me) find breakfast a key motivator to getting out of bed! If you fall into the former category then there is nothing wrong with waiting a little while before enjoying your first meal of the day. 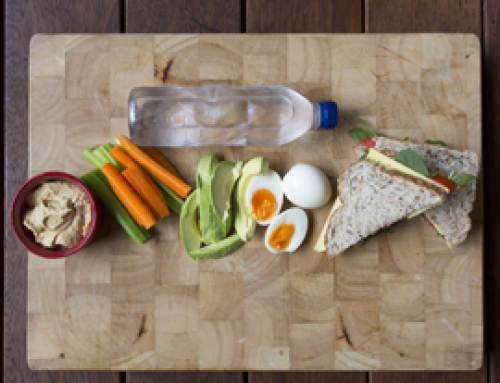 One caveat however – if you’re not hungry first thing have a think about your evening eating habits. Eating too late or snacking in front of the TV until bedtime are common reasons for not waking up with an appetite. 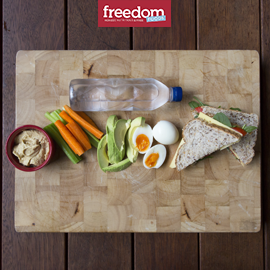 Try implementing a ‘kitchen-closed’ policy after dinner and having at least 2 hours without food before bed. 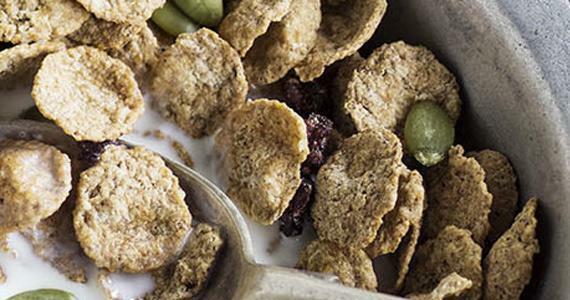 Breakfast can however be a big help in getting your day off on the right nutritional path. The other key advantage is that it can be a super quick meal to prepare and get right. Eating a healthy breakfast helps you to eat less throughout the day, particularly when it includes both protein and fibre-rich carbs. 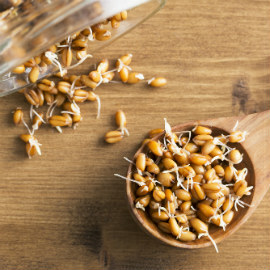 It can also contribute significantly to your intake for several nutrients including B group vitamins for energy, calcium for strong bones, magnesium for muscle function and of course fibre. So how did they stack up? The table below gives you the basic nutrition analysis along with an estimate as to how much time each breakfast takes to prepare. Let’s start with the green smoothie. I’m a big fan of these, provided they use a good combination of ingredients such as I have used here. However as a breakfast option you can see it doesn’t really hit the mark. It provides practically no protein and very few kilojoules. There is good evidence that eating a nice dose of protein (at least 10g) at breakfast can help to control your appetite so this breakfast is most unlikely to keep you satisfied until lunchtime. My recommendation is to team a green smoothie with another protein-rich option, or save it for your mid-morning or afternoon snack. Option 2 is a popular café option and is the least healthy on this list. It delivers almost double the kilojoules of the other options, along with a big dose of the wrong carbs and very little fibre. The fat may be good or bad depending on the oil used, but in reality commercial varieties are not likely to be using the best quality oils. Banana bread is really banana cake. Not really a great breakfast option when thought of in those terms! 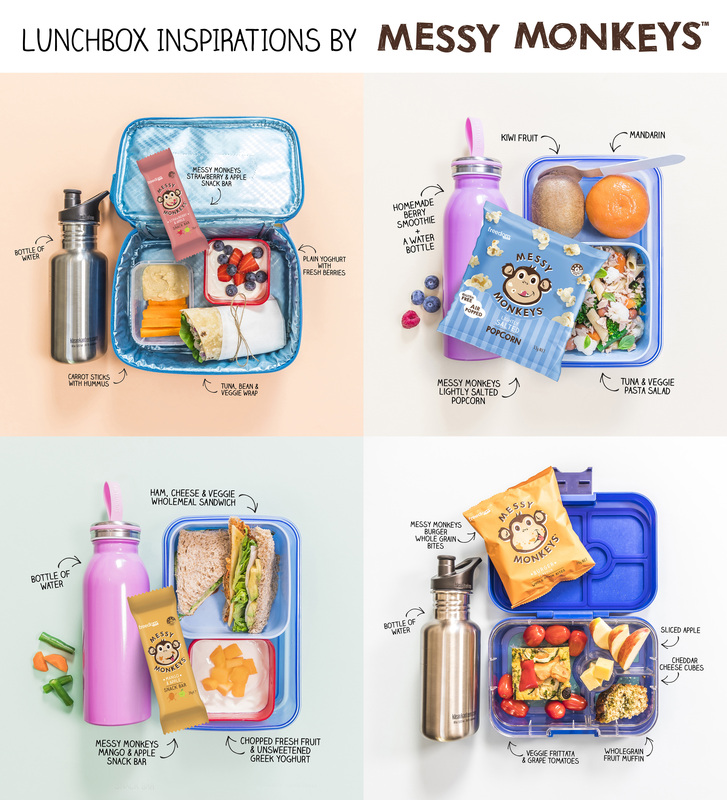 Plus although you don’t need to do any of the prep here, the time it will take you to stop and wait at a café, you could easily have prepared and eaten one of the other options at home or at the office. Options 3 and 4 use two of the Freedom Foods cereal range. If you’re not dairy intolerant you can add milk and yoghurt, alternatively use soy to deliver a good amount of protein. Almond milks and so on can also be used to do bear in mind these do not contain very much protein. Cereal or muesli brekkie options have the advantage of being super quick to prepare and they are also easy foods to keep at the office if you prefer to eat when you get to work. This is my go-to breakfast when I need to be out the door fast, or after I’ve been for an early morning workout and I need to refuel. Their other major advantage is that deliver the most fibre, getting you more than a third there towards your daily fibre target. All up these offer a well-rounded nutrition package, including a wealth of vitamins and minerals. The carb load is moderate and in this era of carbophobia I remind you not to lump all carbs in the same basket. 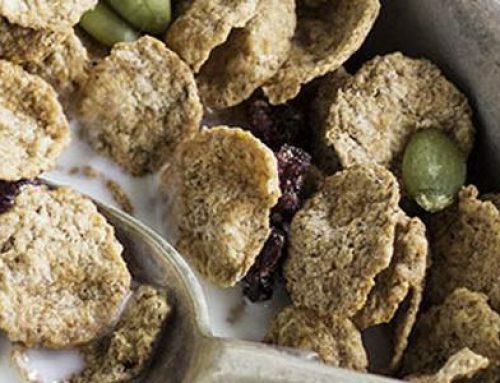 These cereals are wholegrain and exactly the sorts of carbs we should be eating, while focusing on cutting back on the refined “white-carb” options. So what about a lovely cooked breakfast? Well this is a personal favourite of mine – poached eggs on wholegrain toast with avocado, spinach and tomato. Nutritionally it ticks many boxes and has the most protein, but it also has less fibre. The carbs may not be enough for very active folk, but if you’re sitting at your desk all day then that is probably not an issue. It also has more fat, but most of this is super healthy mono-unsaturated fat from the avocado. The downside for busy mornings is that it takes longer to prepare. For many therefore this might be a weekend option. Finally what about simply having fruit and yoghurt? A cup of mixed fruit with a carton of natural yoghurt will give you about the same kilojoules as the cereal or eggs options, however you can see that it falls short on fibre in particular. I favour therefore having a mix of a muesli or wholegrain cereal along with a smaller portion of fruit and the yoghurt. Or you could simply top with a mixture of nuts and seeds for a nutritional boost. So all up the conclusions are that there are several good breakfast options, so why not mix up your choices across the week? 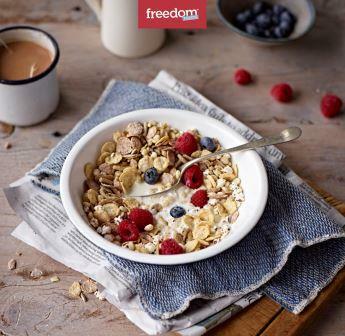 On mornings when you have more time go for a cooked brekkie, while on those days you need to get out the door quickly it’s hard to go past a tasty bowl of wholegrain cereal or muesli with berries, milk and yoghurt. Mixing it up will keep you enjoying your breakfast and ensure you deliver a good mix of nutrients across your week. Just keep the banana cake for an occasional treat!